A close-up of a stylist highlighting a woman's hair in a salon. 2 What Color Highlights Would Go Well With Brown Hair? No need for a full dye job to punch up your hair shade. Keep your color from looking dull with a smattering of well-placed highlights or lowlights that create a face-framing, eye-catching multidimensional effect. Although both take about two hours to complete and last up to four months before a do-over is in order, these hair-flattering processes are exact opposites. As the name suggests, highlights add brightness and lighten hair's base color to give it more dimension. 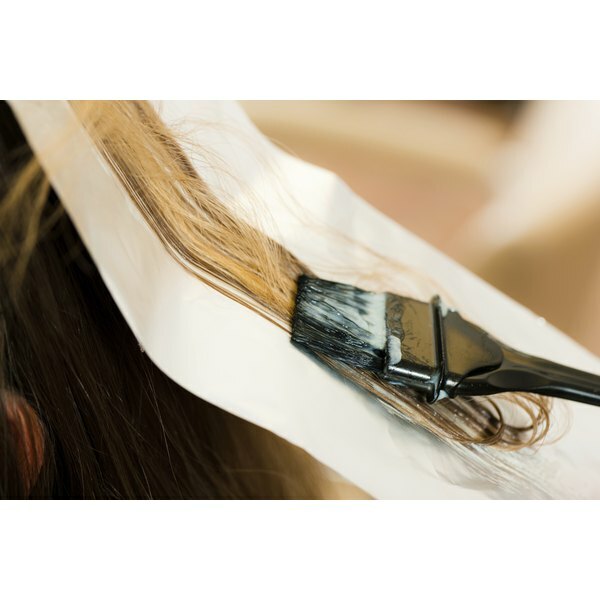 Stylists strip small sections of natural color from blonde or light brown hair for a sun-bleached look -- or from darker hair for a bold statement look -- then add back a pale dye color best suited to the client's wishes. Lowlights, on the other hand, darken the natural base color in small sections to add warmth and depth. 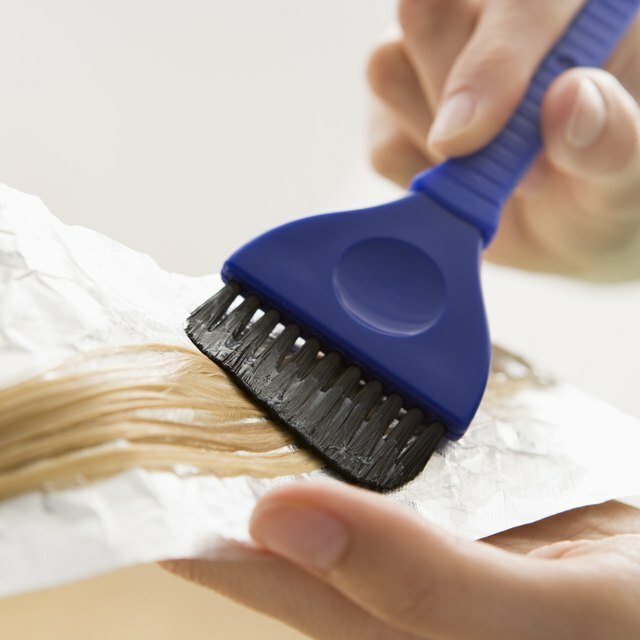 Often, lowlights help combat over-bleaching or help transition summer highlights into darker fall colors. Neither highlights nor lowlights have to be an all-over affair -- color patterns vary with intended effects. Your stylist may work in partial or half-head sections only -- usually around the hairline and at the top of the head -- to create a face-framing look, or may tailor a pattern to you, specifically. Ask about different techniques -- some stylists prefer to weave or slice out pieces of hair for dye work, based on traditional guidelines, but if you want the most out of a custom look, balyage or free-form painting of topside 'lights may be an option. For a total multidimensional look, combine highlights and lowlights. Alternating foils create a natural, understated change from a base color, particularly if the weave pattern is small and frequent. If you want a bold, noticeable look, alternate with big, chunky sections. Ask your stylist to play with bright colors, too -- if you dare. Pinks, reds and electric blues in light and dark shades couple for a truly trendy look. Keep your colors well-blended to make your hair natural and pleasing to the eye. For short hair, add just a hint of warmth to the tips and temples or all throughout the head. For medium and long hair, add pops of color to the underside layers of your hair, or get evenly spaced cascading streaks for an all-over natural look. If going gray, have your stylist add back just a bit of your natural color, all over, for a distinguished salt-and-pepper look. Even ombre styles, which fade one color into a second tip color, look better-blended if extra highlights or lowlights in the second color are placed closer to the crown. Alternatively, stand out with a single chunk of color -- usually a highlight -- for a fun, youthful look.